We recently bought a new Seagate 1TB SATA ES.2 hard drive (ST31000340NS) for our movie video and I decided to test out how it performed in USB3.0 enclosure, USB2.0 enclosure and then just straight SATA. 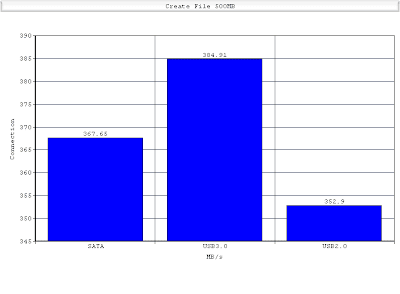 Our first test was creating a 500MB file with 10MB blocks and 50 blocks. Our second test was creating 2 200MB files (10MB blocks again) threaded. Finally, the last test was reading the first file. As you can see, all three methods performed roughly the same. Every test was performed 5 times (I didn't have all day) and then averaged. 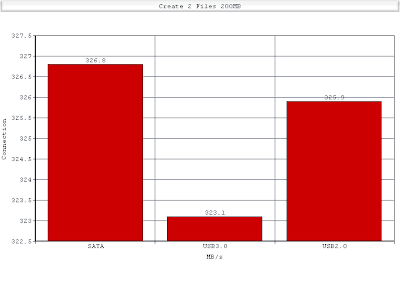 Maybe if the hard drive was 6.0GB/s rated then we would have noticed more of a difference? 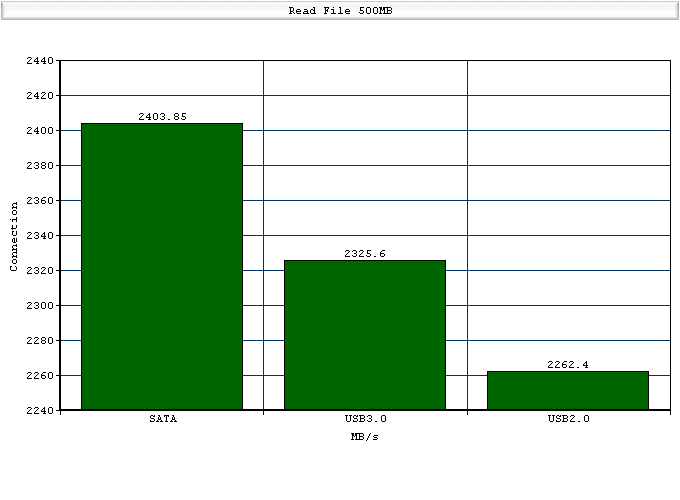 Overall, I think the USB3.0 would only come in handy if you are reading and writing multiple files at once. We upgraded to USB3.0 because I needed a new hard drive enclosure anyways so why not just get the latest and greatest tech? Review: MozyHome == awesome! You can save 10%!